A surprise couple of wins from Team Liquid and some disappointing performances from Fnatic resulted in a final tie-breaker between the two western teams to decide who would move on to the playoffs at the 2018 Mid-Season Invitational. Fnatic controlled the match today and beat Liquid to secure their spot. Fnatic were up and down for much of MSI, ranging between wins against top teams like KINGZONE DragonX and Flash Wolves to a loss against bottom team EVOS Esports. The team was highly inconsistent but they showed up when it mattered against Team Liquid. 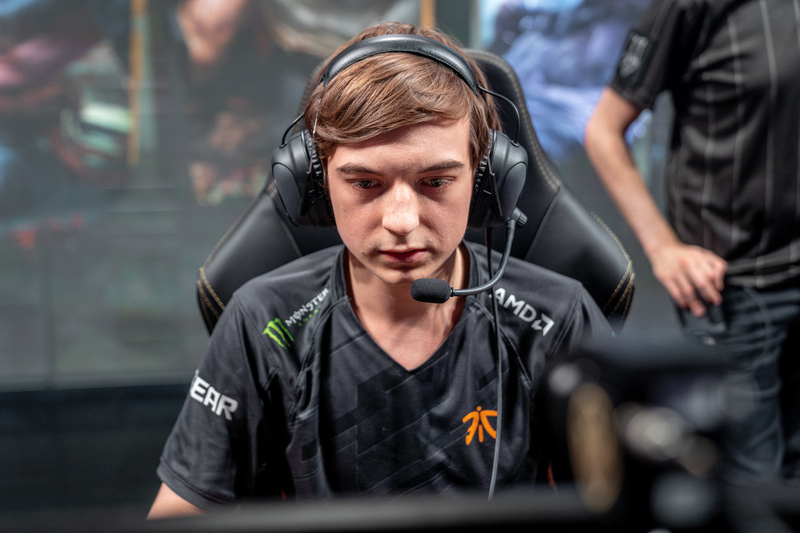 The game started off with some excitement as a jungle invade by Fnatic was punished by Liquid, and Jake “Xmithie” Puchero picked up first blood onto Gabriël “Bwipo” Rau. Most of the action tended towards the top lane with both junglers frequently visiting it, and even Fnatic mid laner Rasmus “Caps” Winther coming up to help his top laner. After the dust had settled, rookie Bwipo won the lane in a situation that seemed near unwinnable because he was playing Gangplank against Jung “Impact” Eon-yeong on Vladimir. Typically Vladimir wins that lane, but with so much intervention on both sides the lane was thrown in disarray and Bwipo came out on top. Fnatic was the team that generally made the aggressive moves and attempted to make the plays that would give them an advantage. Liquid was resigned to playing defensively and instead of being proactive they had to react to plays that Fnatic made. This reactive style was shown in a top lane battle that resulted in five total kills for Fnatic while Liquid only picked up two. The sequence started off with a roam top lane to kill Impact, though the dive was executed poorly and Zdravets “Hylissang” Iliev Galabov died to the turret. After that initial action, Fnatic aggressed again and killed Xmithie. At this point Team Liquid funneled in one-by-one to their deaths. Fnatic were constantly on the front foot throughout the match and locked in their spot in the playoffs. The three teams ahead of them are all strong but Fnatic does have wins over two of them, with Royal Never Give Up being the only team that Fnatic doesn’t have a win over. Fnatic have a strong chance to make it to the finals if they play their aggressive style and Caps continues to put in star performances for his team. For Team Liquid, this was another international disappointment for North America. The team came close to qualifying for the playoffs only to fall at the final hurdle. Though there were flashes of good play from the team, overall it will be seen as a failure that they did not move on in the tournament. The playoffs start on Friday, May 18 with Fnatic taking on RNG at 5am CT. On Saturday Flash Wolves will play KINGZONE at 5am CT.